I want to say thank you from the bottom of our hearts. We received such an outpouring of love, support and prayers when our baby girls were born and we lost Rory. We had just started to write thank you cards and call people personally when we lost Allison. Again, we were completely surrounded by all of you, who carried us when we were weak and our bodies couldn't carry our heavy hearts. Uncle Stanton wrote a beautiful message to his nieces here on his blog. On Monday, I whispered a promise into Allison's ear that Scott and I would never leave her side. And we didn't. It was a marathon of sitting there, carefully holding the pillow she lay on concentrating on not moving. Moving might dislodge her breathing tube and sensors. We sat there and held her every second we could. And I told Scott "I don't dread today. Today, we have her. It's tomorrow, it's tomorrow I fear." Monday was the worst day I could imagine but doesn't compare to the days that are following. Knowing I can't see her face, or hold her hand, or hear her rebellious angry cry. If I could have stayed forever in Monday, I would have. It's these days I don't want to face. We're trying to focus on Casey, she needs us. But there are reminders everywhere that jar me with the reality that there's a big gaping hole in my life. I catch myself still saying "babies." We're on our way to visit our "babies." We should buy this for the "babies." Let's go see our "babies." There's the 3 million pieces of baby girl clothing littered across our house meant to wardrobe 3 baby Sunaoka girls. The empty pages in the journal I use to write daily updates about Allie and Casey. The empty corner in our room where Allie's crib was going to be. The plastic bracelet around our wrists that correspond with Allie's medical tag. I think I'm surviving, I'm breathing...and then I see a picture of Allie on my camera and I cry...ugly cries. This blog is hard...now it stars only Slugger. 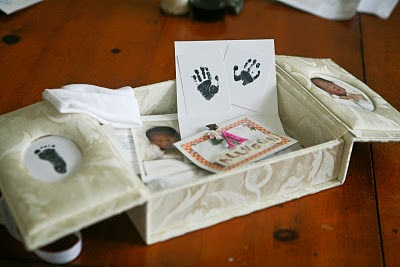 Today, they gave us a memory box. It now joins the memory box for Rory. Now the hutch that we could never figure out what to fill with, has become a memorial to our two oldest children. Our identical girls who could never be too far from each other. 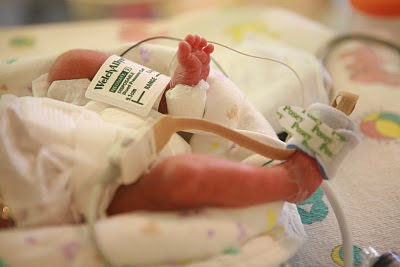 Casey: This past weekend, Casey weighed a whopping 2 lb 10 oz. We noticed the numbers on her monitor had changed slightly and they told us she has moved from Si-Pap to C-Pap breathing. Both blow a constant pressure of air into her lungs. The original Si-Pap, also blew intermittent air at a higher pressure that helped her inhale. The C-Pap she is now on does not have the intermittent higher pressure air. She inhales all on her own, the constant pressure of air the C-Pap provides just helps keep her lungs open and takes some of the strain off her body. They moved all the other babies out of the room when Allie got sick to give us space but left Casey in there. Her isolette is covered with a blanket as usual but she must have felt ignored, because we would hear her cry out every now and then and then our visitors would rush over to give her some loving attention. We had to pick ourselves up after Allie's departure and return to the hospital to refocus on Casey. She needs us and we need her now more than ever. She is a comfort but now we battle fear. 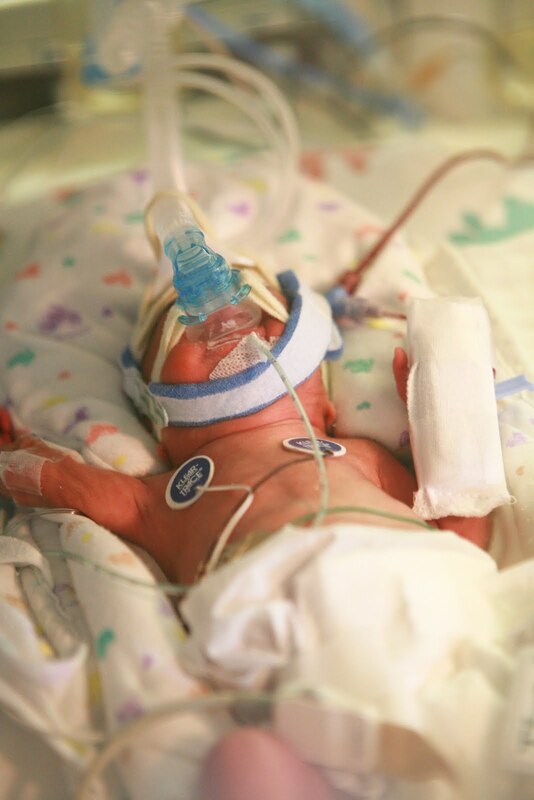 She has only been here for 3 weeks, 3 weeks of a probably 10 week long journey in the NICU. And we're all so aware of how fragile life is and how small and premature she still is. We're not out of the woods...we're so far deep into it, the fear is paralyzing. 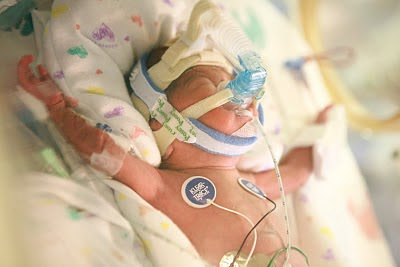 The NICU nurses and doctors cried with us when Allie passed. They have all made it their main concern to watch over Casey like hawks. The doctors have issued notices that any little tiny thing...anything be immediately reported to them. This morning, Scott and I readied ourselves to visit the mortuary...just a week after being there for Rory, when my phone rang with the NICU ID displayed. The doctor "It's okay, don't worry..." Thank God. But still I worry. Casey had a little bile in her stomach and 2 mL of undigested milk during a check(their stomachs are checked every 3 hours). The docs ordered a blood test =normal, did X-rays=normal. 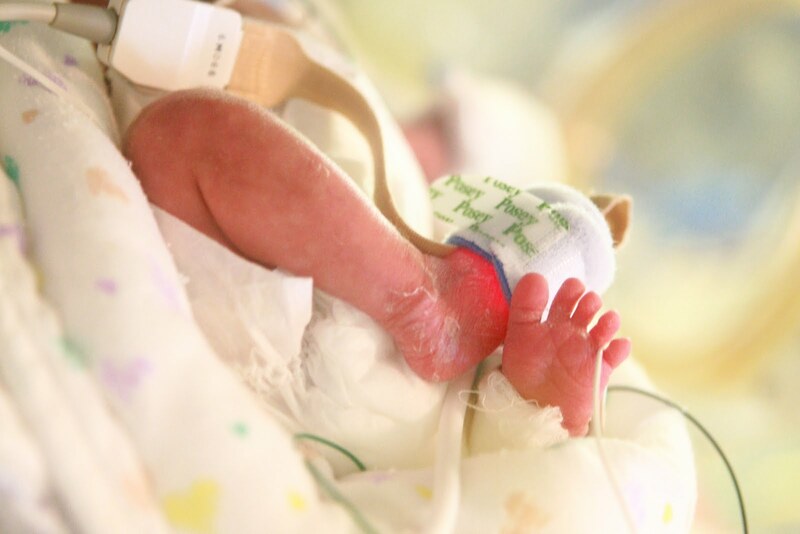 The doctor said "With any other baby, we would dismiss it as nothing and move on. But we're playing it beyond safe with Casey." So, they stopped her feeds and are giving her a blood transfusion since she is a little anemic. They'll slowly restart her on feeds tomorrow and keep checking. When we went in to visit her, they sat down and went through everything with us to reassure us. But I'm not assured. I won't be. Not until the day I can take Casey home. Now I know the fear of NEC, a mysterious disease that's so rare but has robbed me and Scott of so much. I won't be able to breathe until Casey restarts her feeds tomorrow and shows NO PROBLEMS!!! Lord, please protect Casey. Keep her digestive system strong and healthy. Please let tomorrow bring us news that she is eating and digesting perfectly. You can see her left arm is bandaged with her blood transfusion going in. Like Daddy, Casey loves to sleep with her arms sprawled out above her head. I thought it was me. But we heard several comments that she seems to be plumping up. Oh, I want chubby legs and arms on my baby. YAY for Casey getting chubby! That's super good news. I know it's still a long time before you can take her home, but every piece of good news is good news, right? Keao, you and Scott know you guys have our support, and Casey everybody wrapped around her little finger! Hope we'll see you soon. keao! i'm following along your journey step by step even if it's "just" through blog. thank you so much for sharing your heart, fears and pains. It helps us all support you better & pray for you, Scotty & Casey better! love you and am so proud of the parents you are becoming. Praying for God to keep wrapping His arms of comfort & clothing you with strength each day. I found your blog through your Facebook via Lauren Becker (wow, technoloy does make the world smaller, doesn't it??). I was praying for your family this morning on my way to work and will continue praying for you guys! I know I don't know you, but your story has touched my heart! Stay strong and take it one hour at a time - it's the only way to get through. I've been reading your blog lately. I'm sorry that things have been so hard, but I'm praying that you and your family find comfort. Casey is so beautiful, and I hope that she gets big and strong soon. I'm excited to see what God has in store for all of you. Take care.